so, the last time i was here, i did an interview with the ever-wonderful erin l. schnieder. now, i’m here with the amazing stacey lee, writer of beautiful stories with vivid characters. What was the strangest thing you had to research for this book? What made you pick the title for it? You come up with really pretty titles, so I’m curious on how you pick them! For this one, I read a lot of poetry! I read Coleridge, Blake, Shakespeare, London. London got me thinking about the sky, and the idea that while the earth shakes, the sky remains still. The title eventually followed! No. I find it too distracting because I’ll want to listen to the words. Occasionally, I’ll turn on classical. Girls hung out the windows, and sour mash blew in your face every time the door opened. What job would you have, if you had never wanted to be an author? Ooh, I would love to work with sea otters. or on some wildlife refuge. How does any of your past experiences shape the story of your novels? I think authors can’t help having their books reflect some aspect of their experience. For me, the theme of family influence on choices seems to come up a lot! Most helpful thing you’ve learned about the publishing industry? Just because a publisher puts major dollars behind a book does not mean a book is good, add vice versa. Marketing dollars spent is not a reflection of quality. Favourite quote (of all time)? Oscar Wilde said, ‘Some cause happiness wherever they go, others whenever they go.’ Strive to be the former. Team Iron Man… or Team Cap? I’m behind on my pop culture, one of the many things I miss now that I maintain a full time writing schedule. One day, I aim to catch up. Stacey Lee is a fourth generation Californian with roots in San Francisco Chinatown. Born in Southern California, she graduated from UCLA then got her law degree at UC Davis King Hall. She has lots of experience with earthquakes, having skinned her knees more times than she wants to remember diving under tables. One day she hopes to own a hypoallergenic horse and live by the sea. 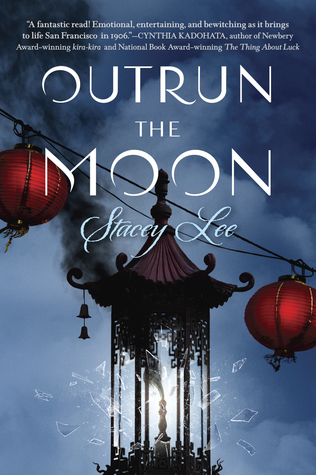 See what she’s up to on Twitter & Instagram: @staceyleeauthor. Let me just say one thing, before y’all trample me to get to the three (!!!) glorious giveaways? May SST // Summer of Sloane // Interview With Erin Schneider!